Congrats to Tom Boyd for the second week in a row. The comments he made about foreign refs have sparked exactly the reaction I expected, but much later than I expected it. But today it duly came, courtesy of Gordon Waddell at The Sunday Mail. It must be a slow news day over there. A slow day, yes, but not exactly news. For the record, as I said last week, Boyd got it spot on. In stark contrast, Waddell’s article has left the impression that all he is really doing at that paper is depriving a village somewhere of an idiot. He thinks it is “embarrassing” for a club ambassador to make comments which hint at bias; he’s obviously missed some of the foaming nonsense which has been talked by numerous employees of Ibrox down through the years. The difference is, some of them combine working for the club with well-paid jobs in the media. The only one who doesn’t is the raving loon who once stood on the steps outside the ground howling at the moon about the title deeds. I seem to remember a guy who took over as CEO of the SFA who believed that there was a conspiracy against Rangers and said so in a chapter for a book shortly before he was appointed. He ended up working at Ibrox after leaving Hampden. That whole club thinks there is a huge, complex conspiracy against them and they’ve said so in public more than a few times. Steven Gerrard, let’s not forget, opened this campaign with a rant about how the SFA has had it in for his club for years … he was in the door five minutes and he’d already swallowed whole the Jim Traynor Big Book Of Paranoid Garbage. Embarrassing? Oh Hell, yes, but I don’t recall Waddell writing that at the time. Now apart from that being a grammatical train wreck, let’s strip it down to the question; what is Tom Boyd’s proposal for improving standards? He specifically proposed bringing in them in from abroad. And here’s the really daft thing about Waddell’s stupid piece; he appears to give Brendan Rodgers some form of credit for suggesting we bring English refs up here to “help” our current officials and take over officiating in big matches. In effect, both Boyd and Rodgers are proposing the same damned thing … but Waddell either missed that or just pretends to. Which, to me, comes off as sort of … embarrassing. Was this anything other than a rant just for the sake of it? A lazy hack’s effort to fill some column inches, thrown down on the page without a second’s rational thought? It looks very much like it to me. 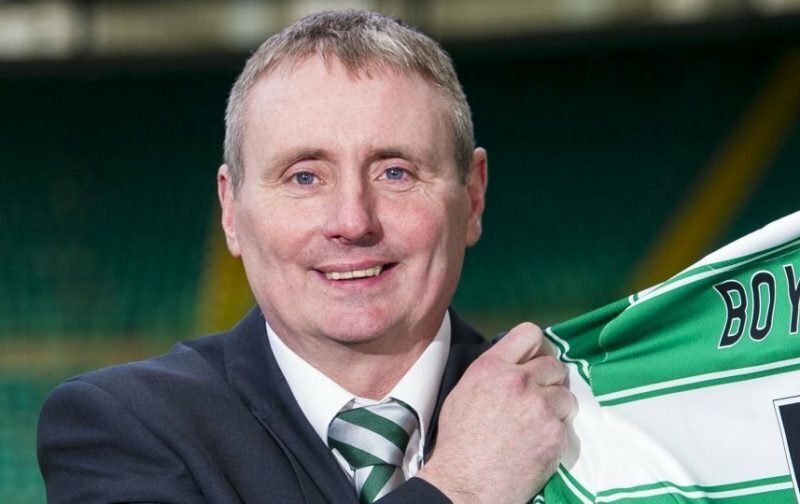 His argument is nonsense, his attack on Boyd appears more personal than professional because it does not consider numerous people at Ibrox who have made genuinely rabid statements down through the years, and any logic in it is fatally undermined by his quoting Brendan Rodgers who said much the same as Boyd did, but in a slightly different way. Waddell has another piece in that rag today; it’s about Morelos. It starts off slagging the “finest purveyors of whatabouttery”, yet what do you know? In the interests of “balance” he goes off into a rant about Simunovic and Scott Brown! The segment about Brown is especially ticklish. Doesn’t that read an awful lot to you like a paranoid suggestion that refs are biased towards our captain? What a ludicrous thing to write.